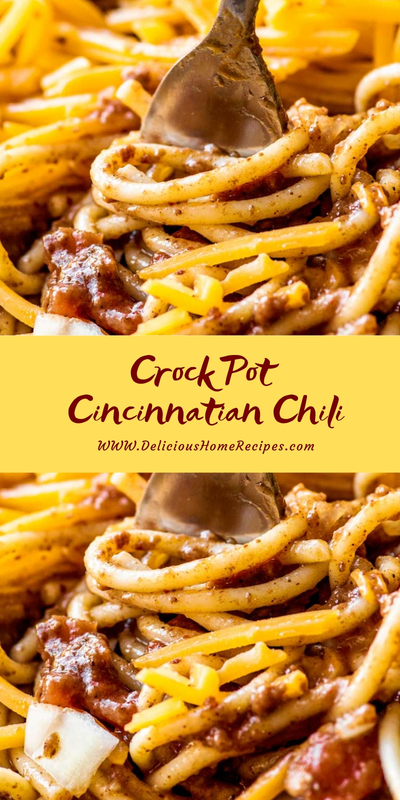 An Ohio-favorite dish gets the crock pot treatment with this Skyline Chili copycat recipe. 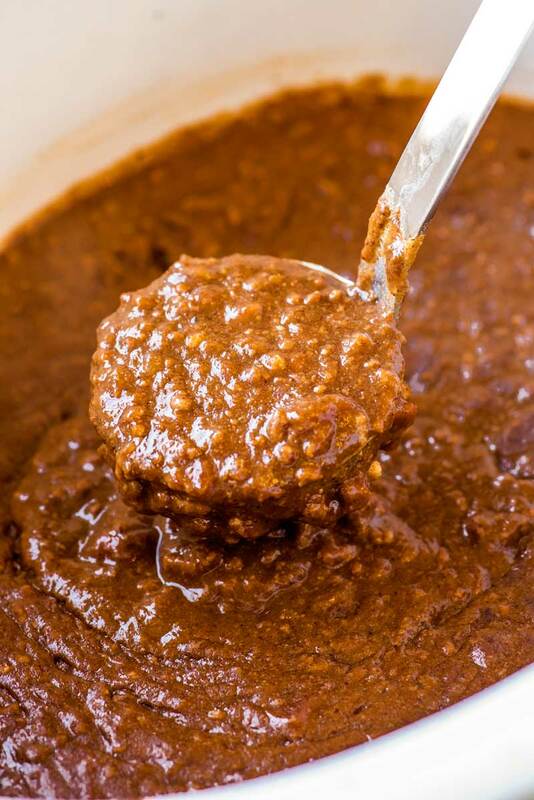 Eat like a Cincinnatian with a chili made with hints of cinnamon and chocolate (that’s NOT sweet!) and serve it like the locals do using the authentic “ways:” two-way, three-way, four-way, or five-way. For those that jazz it, City chili is a food phenomenon and a unforsaken local supply. The most recognizable identify is Line Chile, and if you’re in River (and any of the surrounding country) you’ve no uncertainness passed their restaurants or seen their items at your local market store. But as for the rest of the country, they have no idea what all this fuss is about over Cincinnati chili. And, up until four years ago, I was one of those people. Growing up in Virginia and living in Phoenix, I never had the opportunity to cross paths with this food craze. In a skillet over medium heat, warm vegetable oil. Add 1/4 cup onions and cook, stirring frequently, until soft, about 3 minutes. Add garlic and cook 1 minute more. Remove skillet from heat and set nearby. In a large crock pot, add water and ground beef, then stir until ground beef is broken up. Add tomato sauce, diced tomatoes, apple cider vinegar, chili powder, cocoa powder, cinnamon, cumin, and allspice, as well as the cooked onion and garlic. Season with salt, pepper, and cloves, to taste. Stir ingredients thoroughly until combined. 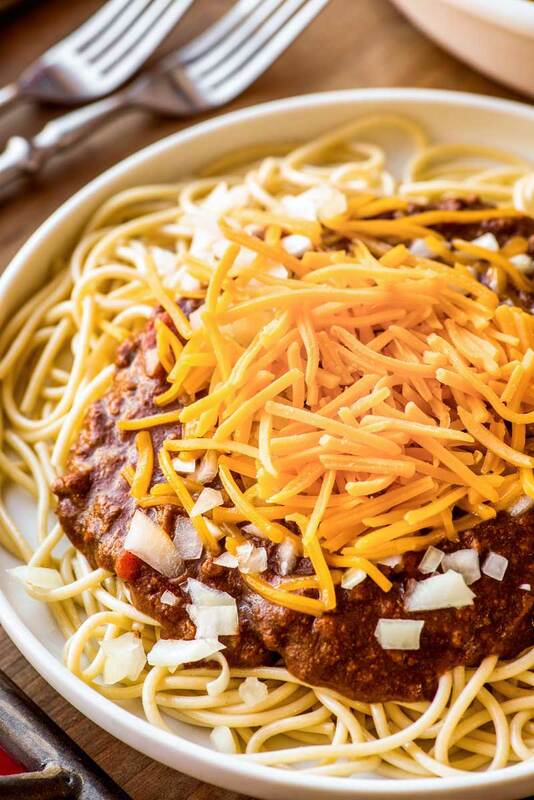 Serve Cincinnati chili immediately as desired. See the post above for the authentic “ways” that this chili can be served. If chili is watery, make a quick slurry by whisking together 1/4 cup of the chili and 2 tablespoons of all-purpose flour. Mix slurry back in with the chili and test the thickness. If needed, repeat slurry step until desired consistency is reached.